The annual periodical of the University of Wales Aberystwyth Agricultural Society, which mainly published articles on agriculture. The periodical was edited by Abel Edwin Jones until 1905, and by W. Edwards in 1906. 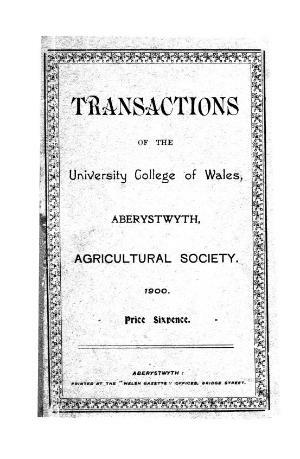 Associated titles: The Journal of the University College of Wales Agricultural Society (1908); The Journal of the University College of Wales Agricultural Department (1909); The Journal of the Agricultural Society, University of Wales (1930).